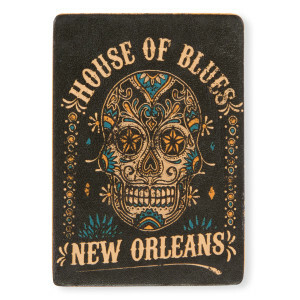 Here is the House of Blues Sugar Skull black leather magnet. 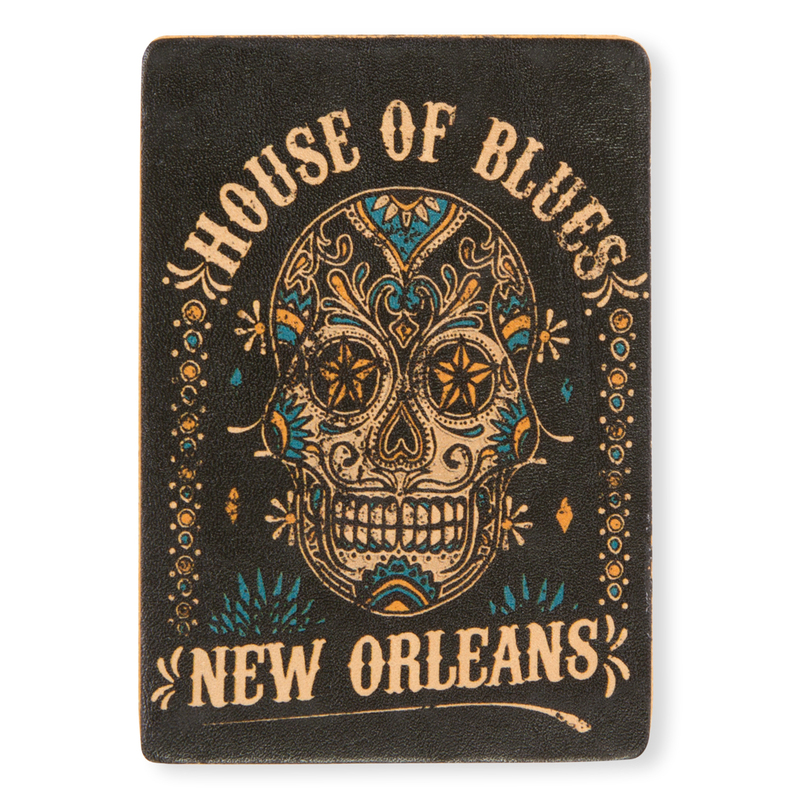 It features one of our most popular and favorite designs of the sugar skull with a city drop. Because it is leather, there will be some color variances. Leather with flexible magnetic sheet.